Tips and ideas for Planning your Vegetable Garden – location, layout, feeding, pest control, and easy vegetables anyone can grow. The Splendor of Autumn on a crisp, clear day in the Prairie. Gorgeous but fleeting. Enjoy it while it lasts. The Turkey Strut and Duck Waddle – watch this gobbler, display, fan, and strut in pursuit of a mate and a handsome pair of Mallard ducks waddling in the Prairie. Our Vegetable Garden – Part 2 is an expansion of the existing lot to include 2 more vegetable beds for fall planting of corn and green beans. 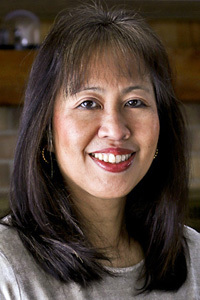 Introducing Malaysian Chinese Kitchen and post on the origins of the Malaysian Chinese food, culture, and historical influences that shape its identity. 5th Week in Review – May 18th, 2014 with one new video, 5 popular recipes, a throwback recipe, and delicious picks from our foodie friends. 4th Week in Review for May 11th with two new videos, popular recipes, suggestions for Mother’s Day, and delicious picks from our foodie friends. 3rd Week in Review for May 4th, 2014 with a new video, this week’s popular posts, suggestions for Cinco de Mayo, and my picks from our foodie friends. 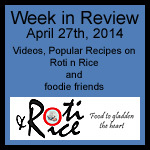 This is the Week in Review post for April 27th, 2014 with one new video, 5 popular posts, and my picks from our foodie friends. Our first ever Week in Review post for April 20th, 2014. 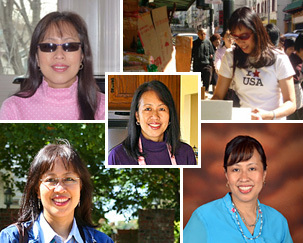 This week we have 2 videos, 5 popular recipes on the blog, and 3 recipes from our foodie friends. Announcing the Roti n Rice Channel on YouTube with a short introductory video. Thanks for watching! Goodbye Hello – emerging from behind a pseudonym, looking back, looking forward with a little nostalgia over the change. To remember those who lost their lives due to the horrific events on Friday, December 14th, 2012. I am really excited to share with you my new site dedicated to the enjoyment and appreciation of tea. This new “shopfront” complements the food culture of Roti n Rice. Come join me for tea at my new virtual tearoom at Tea Tattler and on Facebook. Squash Galore – a gorgeous fall weekend and a ride to the farmer’s market to check out the varieties of squahes available at this time of the year.